This is the second in a three-part series about Learning Design. The first post introduced the Learning Design Framework; a guide for educators to create optimal learning experiences for students by leveraging: 1) content resources, 2) collaborative web resources and 3) human resources. This second post focuses on learning theory and how it applies to not only course design, but educators’ role in creating excellent learning experiences for their students. Note: this is a revised version of a post that appeared on January 19, 2014. We need to study learning theory so we can be more effective as educators. In this post I bridge the gap between learning theory and effective educators; describe why we need to start at A to get to B. I also describe how a grasp of learning theory translates to knowledge of instructional methods, that moves educators towards creating optimal learning environments. Post one of this series described optimal learning environments in the context of a framework that includes three dimensions of resources. Post three will include scenarios of institutions applying the principles of the framework, and in this post we take a step back to examine briefly the underpinnings of pedagogical methods. This article covers three categories of learning theories, objectivist, constructivist, and connectivist. 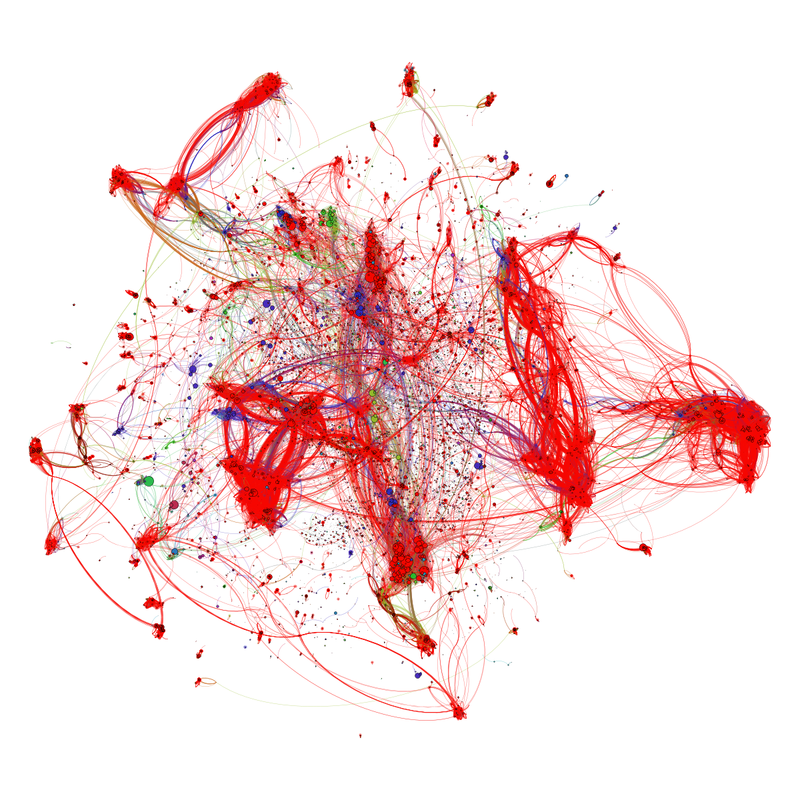 Connectivism is relatively new . Its theoretical principles describe how learning happens within a networked and connected society. Objectivist and constructivist theories have, and continue to have, significant influence on teaching methods and practices in K-12, higher education and professional development programs. Connectivism on the other hand, is associated with learning in an open virtual space on the web, typically in massive open online courses or MOOCs. The theories differ significantly in the perspectives on learning, though each has influenced and shaped instructional methods and practices to some degree. An example is assessment practices using standardized tests. This method is based upon principles of the behaviorist learning theory: instructor delivers content → student studies to commit knowledge to memory → completes an assessment → feedback is provided on his or her responses. This is one example I use here to [try to] emphasize the point that educators are better equipped to handle a variety of learning situations with an understanding of how these theories affect teaching methods. The objectivist learning category includes both the behaviorist and cognitivist theories. Each views knowledge as existing as an entity ‘outside’ the mind of the individual. Behaviorists’ suggest knowledge is transmitted to the learner without any interpretation or contextualization by the learner. Learning is reinforced in the memory through drill and practice. The founder of the behavioral learning theory, B.F. Skinner, conducted extensive experiments in the 1950’s of which several were dedicated to learning methods research. Skinner theorized that learning could be shaped by reinforcements that followed learner behavior; the principles were foundational to Skinner’s behaviorist learning theory. The cognitive learning theory built upon the principles of behavioral learning theory. Cognitive psychologists focused on internal thought processes of the learner, not just the observable behaviours as the objectivists did. This theory emphasizes internal thought, focuses on mental structures and processes of the learner and its application to learning. Robert Gagne is an influential educational psychologist who developed the cognitive-behaviorst theory, which suggests learning is shaped by providing optimal conditions for learning. He developed the theory of conditions of learning and the nine events of instruction. The constructivist perspective took the cognitivist principles one step further by asserting that individuals construct knowledge from within, by engaging in problem solving, experiential and/or social learning experiences. Constructivism puts learners in the center of the learning process, and suggests that learners contribute to knowledge construction by activating prior knowledge and personal experiences. Learning is viewed as adapting one’s mental models to new experiences and knowledge. Several theorists that were part of the constructivist movement include John Dewy, Maria Montessori, Jean Piaget, and Jerome Bruner. The very new learning theory, connectivism, developed by Stephen Downes and George Siemens is a response to society’s connectedness within a network of digital infrastructure. The connected approach views the student as the driver of learning; where the learner connects with, and builds knowledge via the connections [nodes] made within a network. Nodes can be resources or people. Connectivism is “driven by the understanding that decisions are based on rapidly altering foundations. New information is continually being acquired. The ability to draw distinctions between important and unimportant information is vital” (Siemens, 2004). Connectivism is the theory behind massive open online courses, MOOCs. But MOOCs with a ‘c’ for cMOOC, which incorporates the connectivist theory, in contrast to xMOOCs offered through higher education platforms such as edX and Coursera that offer MOOCs that follow more of the objectivist, and some the constructivist approach. Constructivists’ and objectivists’ have different views on the conditions that contribute to learning, but of most significance is the difference in viewpoints of how (and where) learning happens—one views that knowledge is transmitted, the other that knowledge is constructed from within. The conflict between the two theories is ongoing. However, the root of the differences between the theories of constructivist, objectivist, and connectivism, is best described as a difference in epistemology—the nature, scope and development of human knowledge. The learning theory’s philosophy of how learning transpires as reviewed, does translate into a set of instructional methods. Below are characteristics of each of the three described above. Readers will likely be very familiar with most if not all. Is one set of instructional methods better than the other? No—and this is the crux of the post, that there is a variety of methods that serve different learning needs. It’s the skilled and intuitive educator that analyzes a learning situation, leverages the resources at his or her disposal (as per the Learning Design Framework) and is able to analyze the situation and design the very best learning experience for his or her student. Stay tuned for part three of the Learning Design series. Image credit: Theory clothing logo, by WestportWiki. Used under the Creative Commons share alike license. Debbie makes an important point regarding the need for educators to know Learning Theory – One set of instructional methods are not “better” than the other, rather they should be reflective of your teaching practice. Keep in mind that your teaching practice should evolve over time.